Don’t like the prices you’re getting from Canadian providers? Neither do their employees. 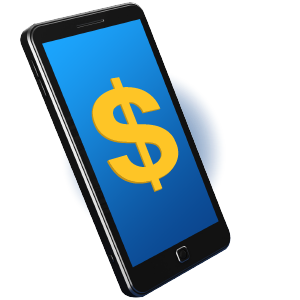 A recent CBC report has revealed that employees across numerous Canadian telecom carriers are being punished for trying to help customers get a better deal, or for having a customer cancel services on them. The news comes mainly from Rogers, Bell, and Fido employees. According to CBC, Harley, “is one of a handful of past and present telco call centre employees for Rogers, Fido and Bell who are speaking out as the CRTC prepares to hold a public hearing on the sales practices of telecoms, due to begin Oct. 22.” The inquiry was ordered by the federal government after hundreds of past and present telecom workers contacted CBC with claims of unethical practices. Harley told CBC that sales representatives at Rogers earn points towards commission for every product or service they sell. However, they also lose points for every time they cancel a customer’s service. “I would do everything I could not to cancel a customer’s services, even though that’s what they wanted,” Harley admitted. He believes that the system created “a culture of dishonesty” at Rogers, where workers employed a variety of tactics to trick customers into not cancelling their service. One tactic is what Harley calls ‘the hot potato game’, where reps would “transfer a customer who wanted to cancel a service to another agent, who in turn might transfer the call to another colleague.” The point being, the agent that gets stuck with the customer, is the one losing the points. It is no surprise that Canadian telecoms are facing complaints from customers, but all these damning stories from former employees give the complaints a lot of credibility. Do you think Rogers, Fido, and Bell will have to change their tactics?